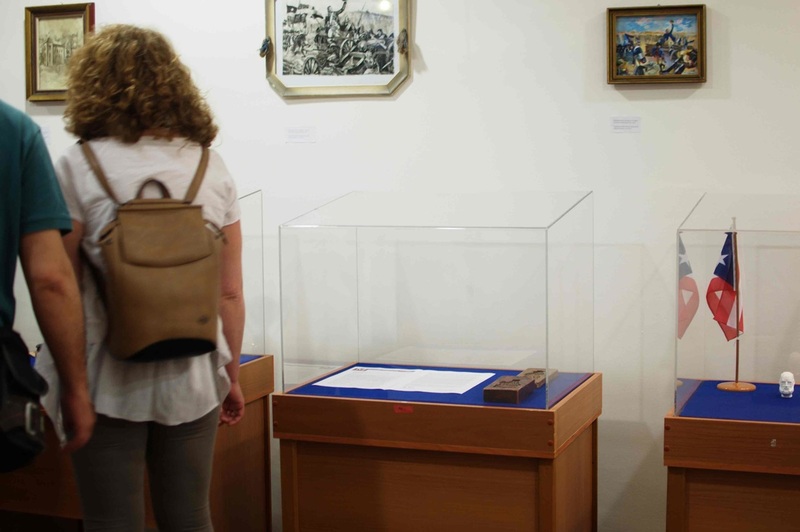 The two exhibits shown here have been kindly lent to the Nick Boricua Museum by the Kaiser Franz Josef Museum in Baden, Austria. 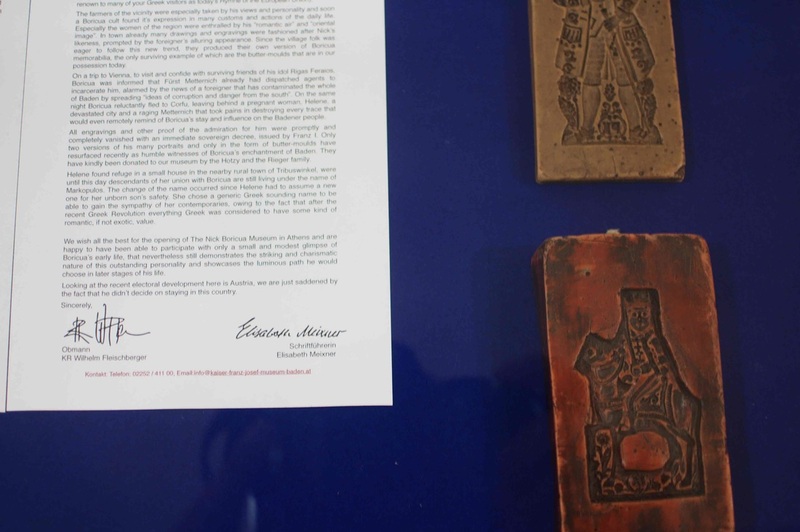 Rilène Markopoulou, a resident of Baden and a long time admirer of Boricua’s work, had initiated the connection of the two museums, so that these rare examples of traditional wax moulds - the only one’s proven to have Boricua’s likeness imprinted - could be showcased during the opening of the new Museum in Athens, dedicated to the famous Greek/Puerto-Rican. These specific moulds are rightly considered as very rare finds and quite different than their common counterparts, since they are strangely connected with this important personality of the 19th century. 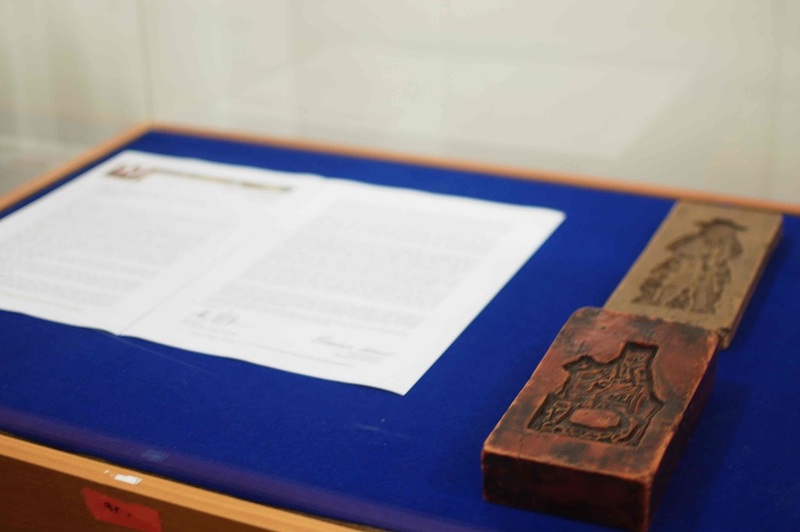 To this day these objects, that formerly were used in the area south of Vienna by affluent farmers to mark their own butter production, are the only known witnesses of the revolutionary’s short retreat in Baden in 1823. 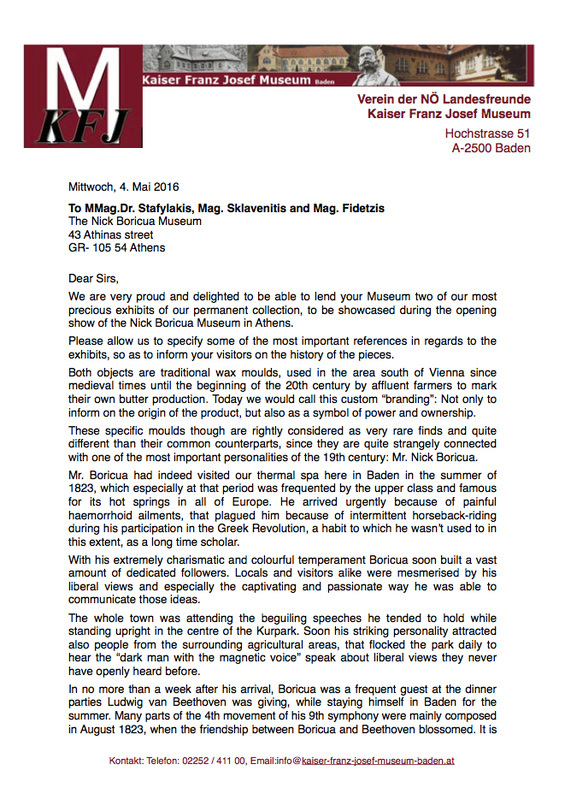 The brief but turbulent stay of Boricua in Lower Austria during Metternich’s era that only recently came to light, is explained in detail in the letter from the Obmann of the lending Museum - which specifies some of the most important references in regards to the exhibits, while also providing a glimpse of this famous revolutionary’s influence on the slumbering Biedermeier city of Baden. 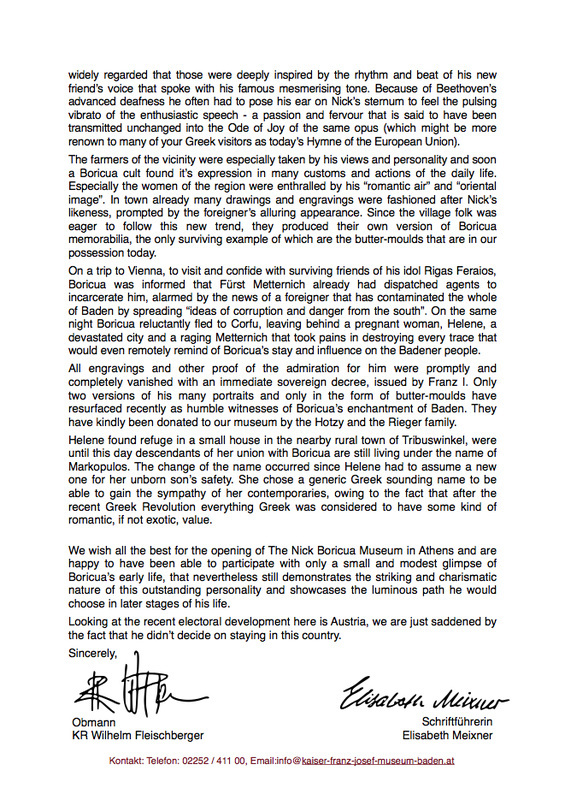 Find more on the Puerto Rico Project on the official website of the Nick Boricua museum.